Another platform has switched to NEO. Reasoning? Currently, Ethereum can process 15 transactions per second, while NEO can handle up to 10,000 per second. For both the Token Sale and our platform, we are switching from Ethereum to NEO. We are going to require KYC (“Know Your Customer”) information for all Token Sale registrants. As a result of the switch to NEO, some details of the Token Sale have changed, though the timeline is still pretty much the same. The minimum contribution to gain Founder status is now 60 NEO (previously 10 ETH), which is a lower barrier to entry, based on current market prices. Read on for the details below! In technology, things change very quickly, and this is especially true for blockchain technology. When we first started planning the development of Narrative, Ethereum was the King Kong of blockchain development platforms. It still is, in terms market cap and overall usage of smart contracts. But we’ve also witnessed the growing pains of Ethereum- transaction bottlenecks, high transaction fees, and muddied enhancement plans. We’ve been keeping an eye on other potential blockchain platforms and have become more and more impressed with the capabilities of NEO. There are actually many other promising new blockchain platforms on the horizon, including Cardano and EOS, but most of them are not as far along as NEO is right now. Our aim is for Narrative to be a massive social media network, with lots of transactions recorded on the blockchain. Currently, Ethereum can process 15 transactions per second, while NEO can handle up to 10,000 per second. Bottlenecks on Ethereum are a fact of life, and while I am sure things will improve as enhancements are made, we’d prefer a system that can already scale more efficiently. Currently, NEO charges no transaction fees. There is no guarantee that that will continue, but we believe that if and when NEO does start to charge such fees that they will be significantly cheaper than Ethereum’s. This is an important factor because the accounting systems built into Narrative may require many different types of transfers within accounts internally and certainly between the system and members. This could be a large cost savings over time for the system and all network members. With Ethereum, we would be forced to use Solidity, its proprietary programming language. NEO, on the hand, supports most of the established programming languages, including Java, C#, and Python. This will reduce training overhead as we add new developers to the team. We prefer the dBFT consensus method employed by NEO over the Proof of Work model used by Ethereum. We also think it will lead to more overall stability as changes are made to NEO in the future, because it is less prone to contentious forks than Ethereum is. Blockchain is only as secure as its cryptography. The next wave in computing is so-called “quantum computers”, which can solve complex problems that are not possible now. While no one knows when such computers will be viable, it will happen and perhaps sooner than we think. NEO utilizes a cryptographic system that will prevent quantum computers from breaking its codes. Ethereum and most other blockchain projects are not there yet. This added level of security is comforting, since we ultimately need to protect everyone who uses our platform. 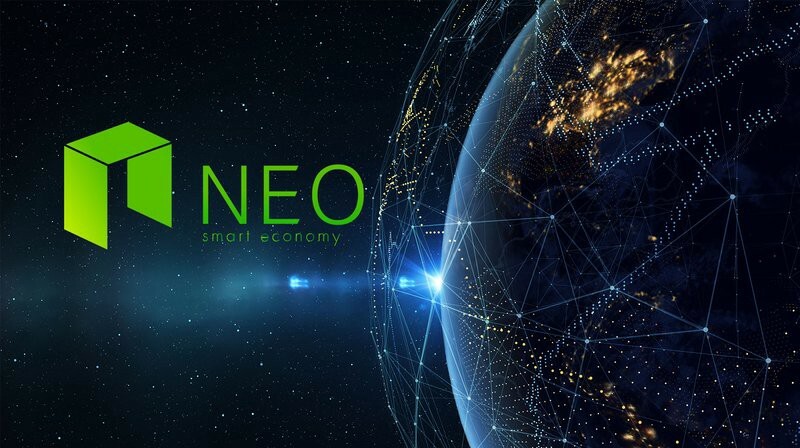 However, after witnessing two successful Token Sales on NEO — the first by Red Pulse, and the second by Deepbrain Chain — we took notice and started thinking much more seriously about NEO for our own Token Sale. Influential NEO developers, City of Zion, even released an awesome set of token/crowdsale libraries for use by the community. We realized that holding our Token Sale was not only possible, but preferable, despite the time and effort we had already invested in developing our token sale contracts for Ethereum. With Ethereum, anyone can launch their own token at virtually no cost. This has led to a flood of projects, many of them scurrilous, because the initial entry cost is so low. One thing we like about NEO, on the other hand, is that there is a significant system fee for deploying a new token (and recurring annual fees thereafter). Currently, the fee is about $25,000 per year. While that is far from an exorbitant amount of money, it does mean that someone has to have at least some skin in the game to create a new token on NEO.